Roy Rochlin/Getty ImagesSeth MacFarlane attends the 2018 Fox Network Upfront at Wollman Rink, Central Park on May 14, 2018 in New York City. Fox-associated creators have spoken out against Fox News and its parent company over Fox News’ coverage of President Trump’s “zero-tolerance” immigration policy that separates children from their families who are crossing the border. 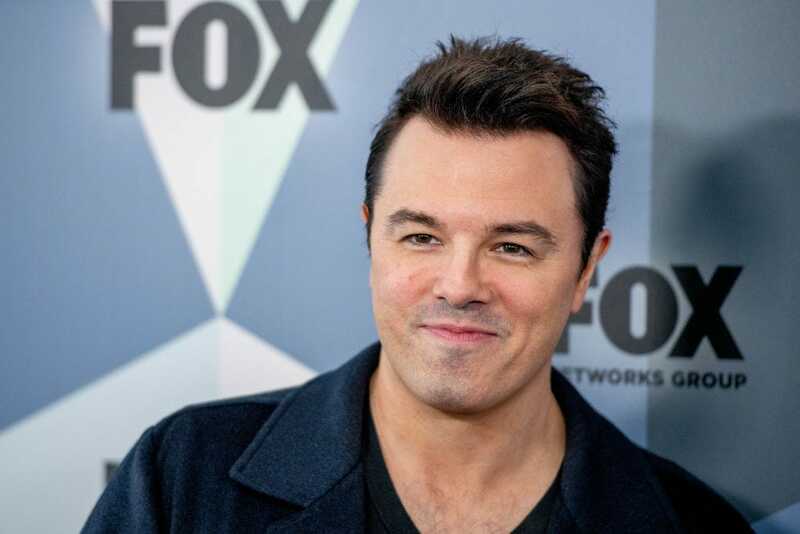 Judd Apatow and Steve Levitan quickly followed Seth MacFarlane in condemning Fox. On Tuesday, Ben Wexler and Paul Feig joined in, as well. It started with a Seth MacFarlane tweet condemning 20th Century Fox and Fox News. But more people who are currently or formerly associated with Fox are joining the sharp rebuke of the conservative news network and its parent company for the network’s defence of the Trump administration and its immigration policies. They include Judd Apatow; “Modern Family” co-creator Steve Levitan; Ben Wexler, who has produced multiple Fox TV shows; and “The Heat” and “Spy” director Paul Feig. MacFarlane, the creator of Fox broadcast network’s “Family Guy,” tweeted on Saturday that he was “embarrassed to work” for Fox. The comment was in response to CNN’s Brian Stelter, who tweeted that Fox News host Tucker Carlson told his viewers not to believe other news outlets. Levitan quoted MacFarlane’s tweet on Sunday and said, “I couldn’t agree more.” Levitan’s “Modern Family” is produced by 20th Century Fox’s TV division. Levitan then “officially” joined MacFarlane on Monday in condemning Fox, tweeting that he was “disgusted to work at a company that has anything whatsoever to do” with Fox News. He later tweeted that conservative commentator Ann Coulter was “the face of pure evil” after she falsely referred to immigrant children being separated from their parents at the border as “child actors” while appearing on Fox News. Apatow also spoke up on Monday. Apatow, the director of comedy hits like “The 40-Year-Old Virgin” and “Knocked Up,” said that he hasn’t worked at Fox since 2002, likely referring to the comedy series he created called “Undeclared,” which lasted one season on the Fox network. He then went on to condemn the company and Fox News. “That family [the Murdochs] promotes evil ideas and greed and corruption. We all choose who to work with. I understand why that is easier for some than others but many powerful people are powerful enough to speak up to their bosses at a moment like this,” Apatow replied. Since then, Apatow has been on a Twitter spree, condemning Fox for its coverage of President Trump’s “zero-tolerance” immigration policy in tweets and retweets. “Not one new person who works for Fox or at Fox has spoken up strongly about their news channel supporting ripping families apart,” Apatow later tweeted. Wexler served as a producer on Fox TV shows “The Good Guys” and “The Grinder” as well as “The Comedians,” which aired on Fox-owned network FX. He also produced Netflix’s fourth season of “Arrested Development,” which originally aired on Fox. As more and more Fox-associated creators speak out against Fox News, the question is whether it will eventually lead them to seek work elsewhere.